We advise you to register for a campus tour at least 24 hours in advance. Tours include academic buildings, student services and many other areas on campus. Residence and athletic facilities are included in north Oshawa location tours. Please note: We will not be offering tours from Monday, April 29 to Friday, May 10, 2019. This break is used to train our new tour guides. We will resume regularly scheduled tours on Monday, May 13, 2019. Thank you for your co-operation. Your tour will be led by a university tour guide. The tour guide team is made up of students representing many different programs at the university. I booked a tour; what happens now? Will someone meet me at the start location? Yes, your tour guide will arrive at the starting point 5 to 10 minutes prior to the scheduled start time. 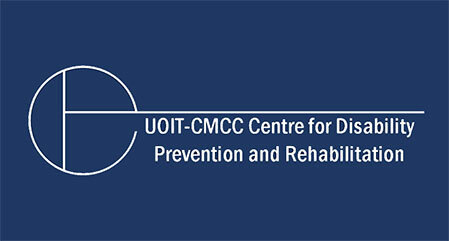 Are faculty-specific facilities (labs, etc.) included in the tour? While we will do our best to accommodate individual interests, campus tours are designed for prospective students looking at any of our programs. In addition, labs are not available for campus tours due to health and safety requirements and the scheduling of lab space for current students, faculty members and researchers. The best opportunity to tour faculty-specific facilities is at our Open House. Please visit our Open House website for more details. You can also visit our virtual tour to view faculty-specific facilities. What should I do if I'm late for my tour? If you are running late for your tour, follow the instructions indicated in the email you received from your tour guide. Please note that while we will do our best, we cannot guarantee we will be able to accommodate late arrivals. Head to the Software and Informatics Research Centre, our normal start location (directions will be in your confirmation email). If a staff member is at the welcome desk, please alert him or her of your tour and he or she will get in touch with your Tour Guide. If no one is available at the welcome desk, please contact Campus Security at 905.721.3211 and they will get in touch with your Tour Guide. Head to the 61 Charles Street Building lobby, our normal start location (directions will be in your confirmation email). Upon entering the building, stop at Campus Security and the guard will get in touch with your tour guide. Your tour guide's email will include detailed parking instructions. At the north Oshawa location, parking is in Founders 3 Lot. You will be provided with a parking slip upon your arrival. 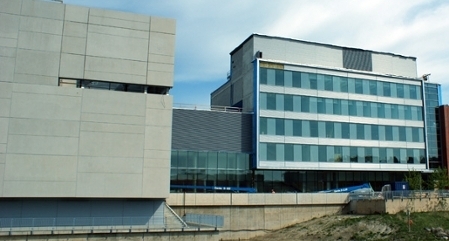 At the downtown Oshawa location, parking is in the lot immediately south of the 61 Charles Street Building. Use the intercom at the gate to call Campus Security. Let the guard know you are here for a campus tour and you will be permitted to park free of charge. Am I able to get to campus via public transit? Both our north and downtown Oshawa locations are accessible by public transit. Durham Region Transit (DRT) – Multiple DRT routes provide access to both campus locations. GO Transit – Several GO buses provide access to both of our campus locations. Additionally, visitors can take the GO Train to the Oshawa station, and then access either of our locations using DRT. Tours are conducted both inside and outside our buildings. Please make sure you are dressed appropriately for the current weather conditions. Additionally, as our tours involve a significant amount of walking, please wear comfortable footwear. Yes, our tour route is accessible for those using personal mobility devices. 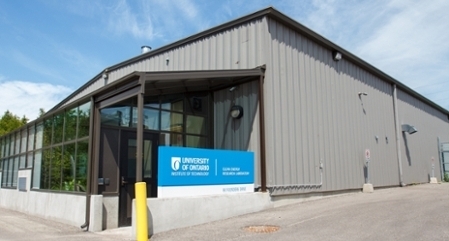 If you require any additional accommodations, please email tours@uoit.ca. How do I cancel a tour if I can no longer attend?